In the 21st century ‘hacking and penetration’ has become like a common phrase to those who are constantly engaged in the world of ICT. Although neither hacking nor penetration is legally permitted, yet sometimes you cannot but hack or penetrate some anti-peace or anti-social people’s sites to have an overview of their destructive activities and take control of the sites to protect your society or country as a whole. This type of penetration is called ethical hacking. As the issue is being important day by day, so we took it seriously and took the initiative to help you. Thus, in this article, we have listed some of the best Ethical Hacking and Penetration Testing Tools that you can use with Kali Linux for a great purpose. Let’s begin! Here follows a complete list of Ethical Hacking and Penetration Testing Tools to be used with Kali Linux Each of the Ethical Hacking and Penetration Testing Tool contains only precise information with which you can keep yourself updated to the world of technology. You can also use these for doing good to others through ethical hacking. The specialists who basically work for the security of information or in the field of computer security must know Kismet along with the other penetration testing tools. They should also be aware of its capability. Basically, it is computer software, compatible with Linux, BSD, Microsoft Windows, and Mac OS X, which is used to identify sniff the packets, network traffic. It can also be used as a system of intrusion inhibition. Moreover, it is important for you to be aware that Kismet is an ‘open source security tool,’ which ensures that it is free for all. 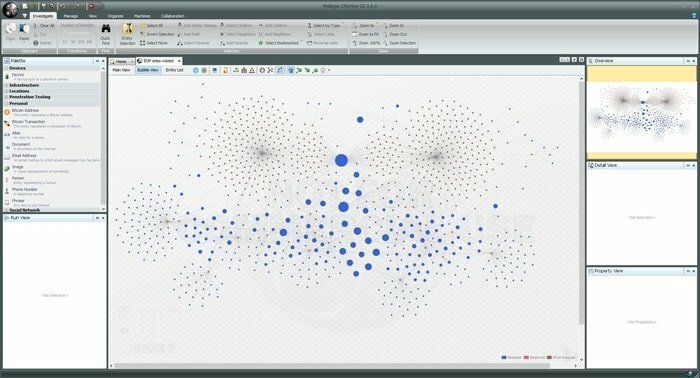 Snort is one of the coolest penetration testing tools, which is based on an open source network. The software has the capability of performing packet logging on the networks of Internet Protocol and analysis of real-time traffic. It can also accomplish the searching and matching of content and analysis of protocol. 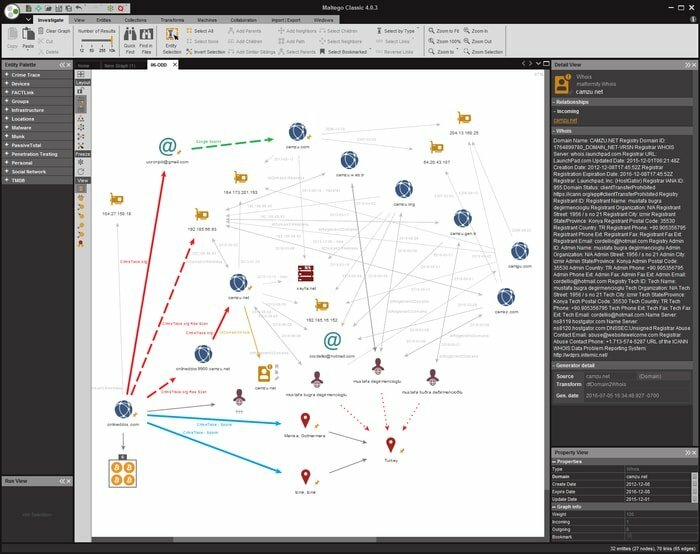 Moreover, you can use the software for detecting attacks or probes comprising stealth port scans, operating system fingerprinting efforts, server message block probes, overflow of the buffer, and semantic URL attacks. 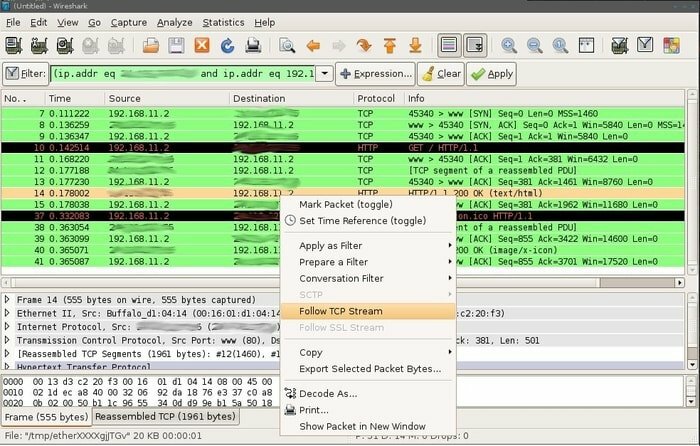 Wireshark is fundamentally an analyzer of protocol or network, which you can get for free at its official website. The software is utilized to study the configuration of various network protocols. It owns the capability of demonstrating encapsulation. You can operate the analyzer on Linux, Microsoft Windows, and Unix. Besides, the software can capture the packets engaging the pcap and the toolkit of GTK+ widget. However, Wireshark or other terminal-based software versions such as Tshark that is free are released under GNU. Nessus holds a significant place among the penetration testing tools, which is a branded susceptibility scanner and has been advanced by ‘Tenable Network Security.’ You can use it for free only if you use it for personal use amid a non-enterprise setting. 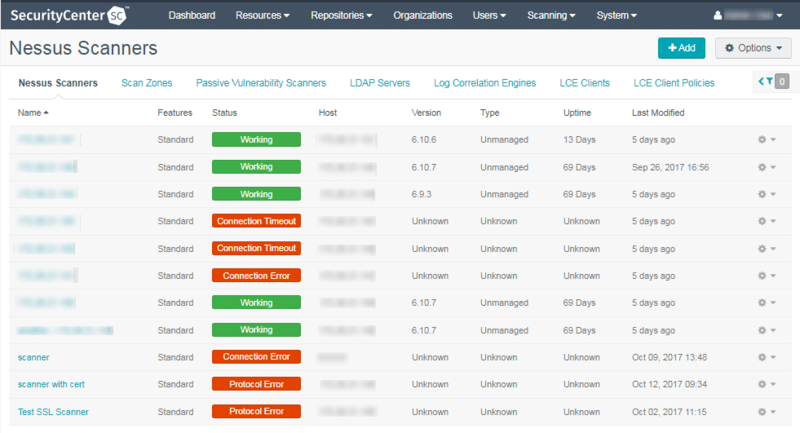 However, it allows you to scan for numerous kinds of vulnerabilities. The scan includes planning for PCI DSS audits, allowing a distant hacker to have access or control of a pack of sensitive data on a specific system, renunciations of service against the IP/TCP stack by utilizing deformed packets, default passwords, and misconfiguration. Additionally, the software can call a peripheral tool, known as ‘Hydra’ for launching a dictionary attack. 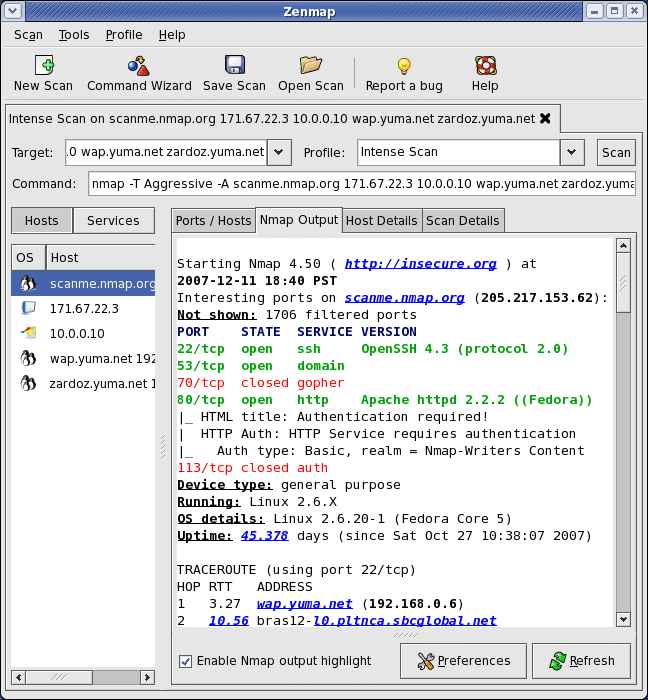 Nmap provides you with many features for examining the computer network comprising the detection of operating-system and service and the discovery of host. The features also comprise- detection of OS and Version, the discovery of host, scanning of port, and scriptable communication with the target. The software can offer additional information on the targets, comprising types of device, MAC addresses, and the names of reverse DNS. 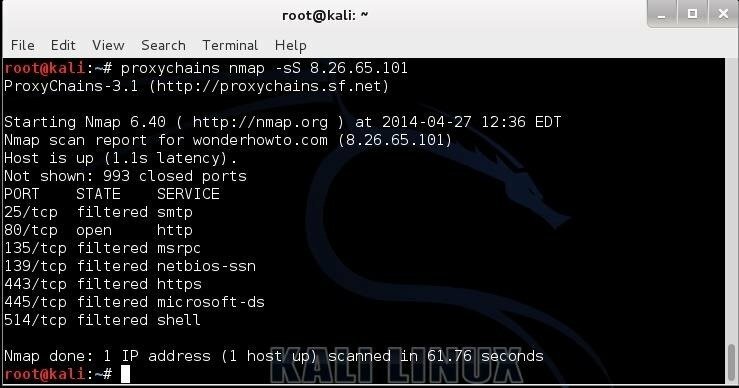 The usual uses of Nmap are detecting and exploiting susceptibilities in a particular network, recognizing open ports in planning for inspection, reviewing the safety of a network by the identification of new servers, and many more. Netcat is a fabulous program, which is expert in data reading and writing both in the UDP and TCP network links. The individuals who are basically liable for the security of both system and network must know the Netcat’s capabilities in details. The list of the software’s features comprises port scanning and listening, and transferring files. You can also use it as a backdoor. 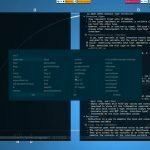 However, the unique netcat’s features many things including the capability of using a local source port and using the source address of a locally formed network, and it can even understand the arguments of the command line from any standard input. This is how this ethical hacking application helps you most prudently. 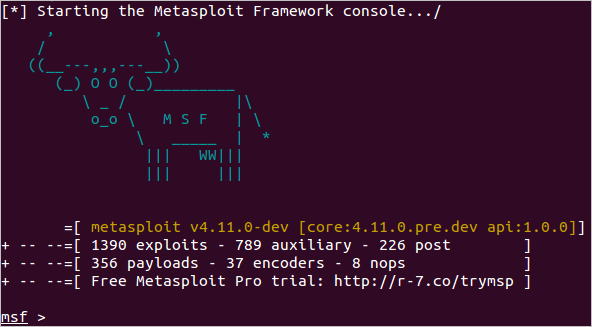 The ‘Metasploit Framework’ is a modular platform for penetration testing, which is essentially Ruby-based and allows you to compose, check, and perform exploit code. 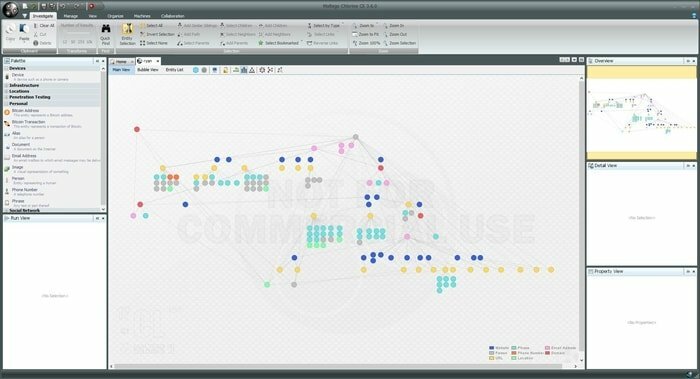 The software has a collection of tools with what you can examine security weaknesses, count networks, implement attacks, and avoid exposure. In simple word, this software is a set of usually utilized tools that offer you an entire atmosphere for the testing of penetration and development of exploit. ‘John the Ripper’ is a dependable tool for ethical hacking and considered one of the fastest password crackers, which you can now get for numerous flavors of Windows, Unix, BeOS, OpenVMS, and DOS. The initial motive of this cracker is to sense feeble Unix passwords. The software is exceptional to the older crackers as it usually doesn’t perform tasks using a ‘crypt(3)-style routine.’ Instead of it, the software owns extremely boosted modules for dissimilar processor architectures and hash types. THC Hydra is principally a parallelized logging in a cracker that backs much code of behavior to attack. The cracker is relatively quicker and more flexible than the other penetration testing tools in which you can add new modules easily. The tool helps the security consultants and researchers to see how easily anyone can have unauthorized authority over their systems. 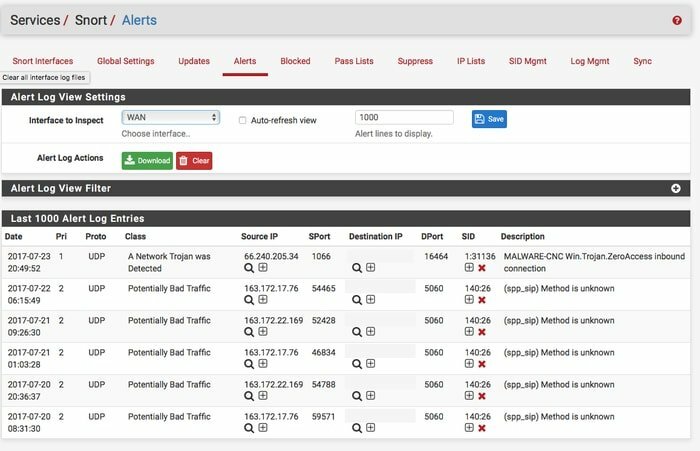 Aircrack-ng is a suite of network software that consists of packet sniffer, a sensor, investigation instrument for 802.11 wireless LANs, and WPA/WPA2-PSK and WEP cracker. The cracker can even work with an interface controller of a wireless network in which 802.11g traffic and sniff 802.11a, 802.11b and raw observing mode are supported by its driver. You can operate the program using Windows, Linux, OpenBSD, FreeBSD, and OS X.
Nikto is a scanner of a web server with Open Source (GPL) facility. It can perform widespread investigations against the web servers aimed at many items. The list of the items includes over 6700 possibly risky programs/files, investigates for non-operational versions of more than1250 servers, and type-specific difficulties on more than 270 servers. Besides, the software inquiries for the items of server configuration like the attendance of numerous directory files, options for HTTP server, and attempts to detect the setup software and web servers. 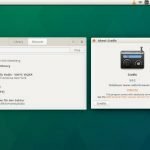 Moreover, it often scans plugins and items for an update. 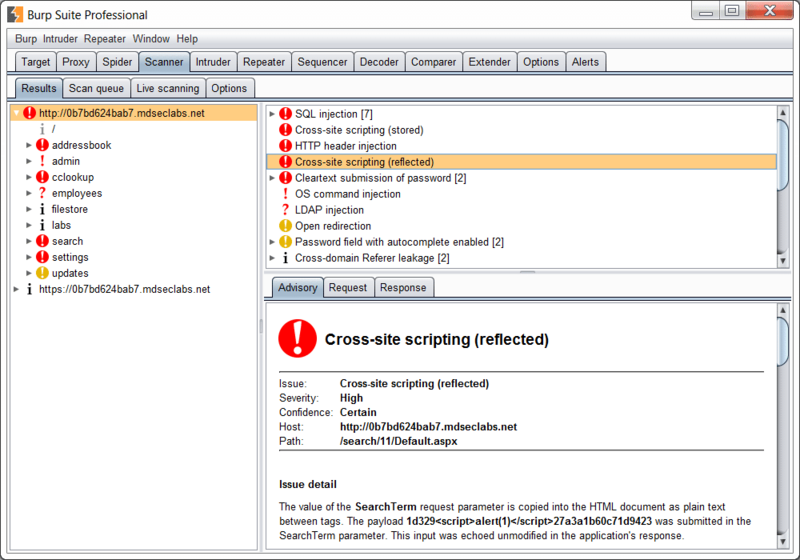 Burp, also called Burp Suite is principally a graphical instrument appropriate for testing the security of Web application. Java language has been used for writing this tool, and ‘PortSwigger Web Security’ has developed it comprehensively. This software was developed basically to provide you with a complete solution for checking the security of web application. Besides having elementary functionality like intruder and scanner, proxy server, it also has more radical options like a sequencer, a spider, an extender, a repeater, a comparer, and a decoder. 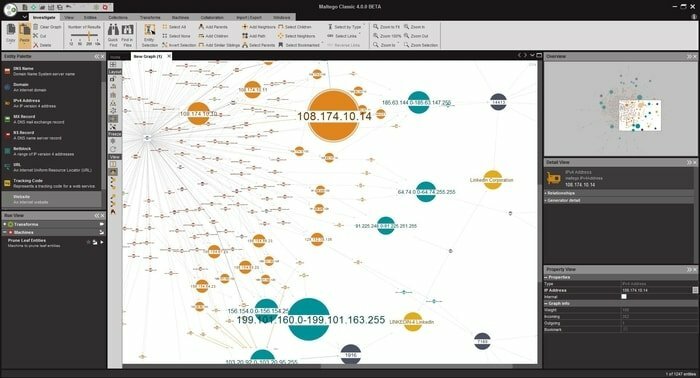 Maltego, advanced by Paterva, is exclusive software that is used widely for open source forensics and intelligence. It permits you to create custom entities, letting it signify any kind of information besides the elementary entity types that are the part of this software. The application basically focuses on the analysis of the associations with online services just like Facebook and Twitter and also the real-world associations between groups, people, domains, Web pages, networks, and internet infrastructure. Among the data sources of Maltego, there are whois and DNS records, search engines, many APIs and metadata, and online social networks. However, the software is mostly used by private detectives and security investigators. 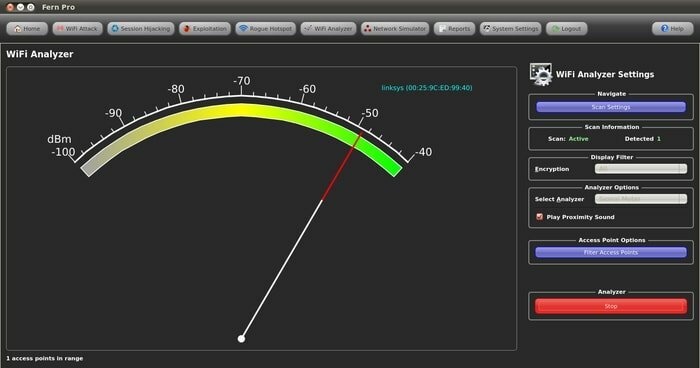 It is a software that can evaluate the security of Wireless and attack software program formed using the Python Qt GUI library and the Python Programming Language. The software can crack and recuperate the keys of WEP/WPA/WPS and additionally can operate the attacks based on other network either on Ethernet centered networks or wireless. Major features of the cracker are: cracking of WEP with Chop-Chop, Fragmentation, Caffe-Latte, ARP Request Replay Hirte; saving of key in databank on effective crack automatically; hijacking of a session; accessing point assault system automatically, and so on. Wifite 2 is undoubtedly one of the excellent penetration testing tools for wifi auditing, which has been designed for use with pretesting circulations of Linux like Pentoo, Kali Linux, and BackBox and also with any Linux distributions in association with wireless drivers that are patched for inoculation. Derv82, which is the developer of this application, has lately uncovered a new type of this tool, which is planned completely for the newest Kali version. Yersinia is a structure, which is suitable for accomplishing the attacks of layer 2. The program is intended to take benefit of some vulnerability in different network protocols. It can pretend like a compact framework for the analysis and testing of the installed systems and network. 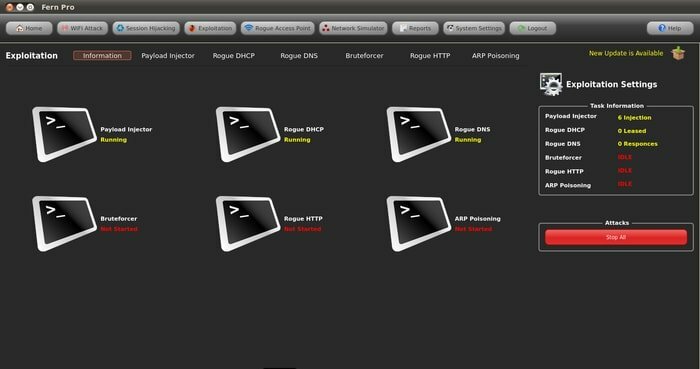 Assaults of the following network protocols are executed in this specific release: protocol of Cisco discovery, the protocol of VLAN trunking, straddling tree protocol, the protocol of dynamic trunking, the protocol of hot reserve router, the protocol of dynamic host structure, the protocol of inter-switch link. It is the self-announced world’s quickest password retrieval tool. Until 2015, the application had a patented code base, which is now available for free of cost. 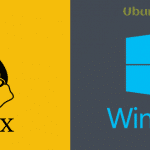 The versions that the software own are accessible for Windows, Linux, and OS X. The versions can also come in either GPU or CPU based variants. Cisco PIX, Microsoft LM hashes, MD4, SHA-family, MySQL, Unix Crypt formats, and MD5, are some of the examples of ‘Hashcat’ adopted hashing algorithms. The application has come onto the front page of news several times because of its creator’s discovery of faults and optimizations. These were subjugated in the following hashcat releases. BeEF, which is the short form of ‘Browser Exploitation Framework,’ holds importance amid the dominant specialized penetration testing tools. The framework adopts revolutionary methods that offer the skilled penetration tester real attack vectors of client side. This security framework is quite exceptional to other types of such frameworks in the sense that it concentrates on leveraging the weaknesses of any browser to evaluate a target’s safety posture. The project has been advanced only for legal investigation and penetration examining. Also, it has many modules for a command that engage the simple yet powerful API of this program. The API is considered the core of this framework’s efficiency as it summaries difficulty and simplifies rapid progress of the custom modules. This is a useful tool that helps you to view and change the MAC addresses of different networking tools. You can also set new addresses randomly or explicitly. The addresses comprise the MAC addresses of either the similar or other sellers’ hardware. More usually these may include MAC addresses of the same type of hardware. 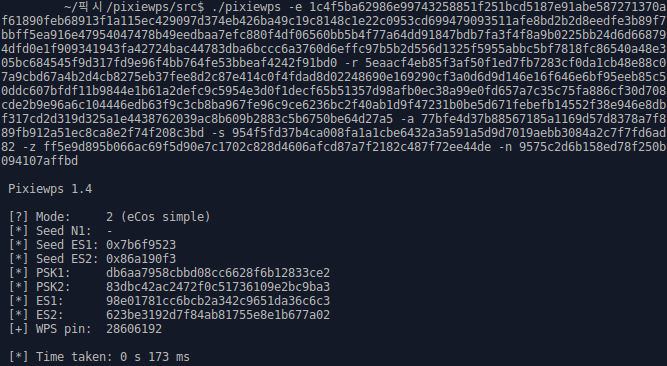 Pixiewps is a fabulous ethical hacking tool, which is mostly utilized for off-line brute compelling of the WPS pins when at the same time exploiting the non-existing or low entropy of certain wireless entree points that are also called the attack of pixie dust. Dominique Bongard at first discovered it. BBQSQL is a framework, which functions following blind SQL injection. It is inscribed in Python. The program is very convenient while attacking complicated SQL injection susceptibilities. Besides, it is a half-automated tool that allows fairly a bit of personalization for those tough to activate findings of SQL injection. Furthermore, the tool has been made to act as database agnostic, which is exceptionally versatile. It owns an intuitive UI as well that makes the setting up attacks stress-free. 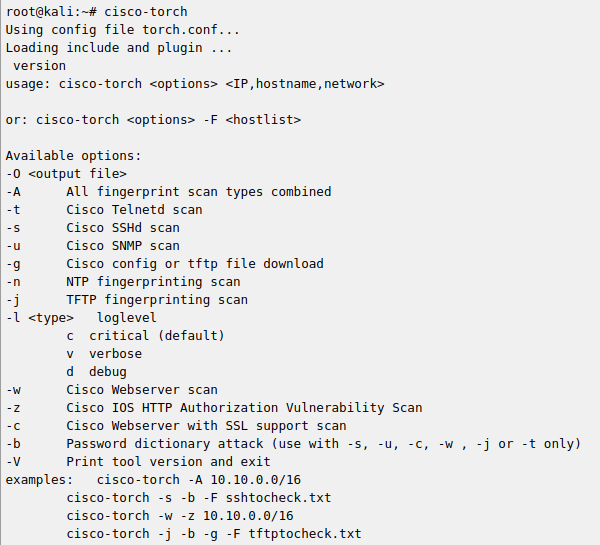 Cisco Torch, bulk exploitation, scanning, and fingerprinting tool were inscribed when the work on the subsequent version of the “Hacking Exposed Cisco Networks” was going on as the programs found in the market being unable to bring an epoch-making solution. The core quality that makes the tool dissimilar to the other identical types of penetration testing tools is the wide usage of forking to introduce numerous scanning procedures for furthermost scanning competence. Besides, the program utilizes some approaches of application coating fingerprinting instantaneously, if required. 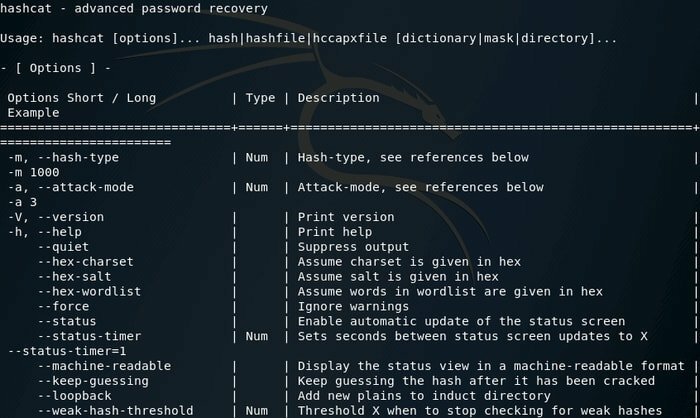 DBPwAudit is essentially a Java instrument that lets you perform online inspections of the passwords’ quality for some database engines. The design of this application allows you to add supplementary database drivers to the manual of JDBC by just reproducing the fresh JDBC drivers. The configuration of the program is accomplished in two different files: the rules.conf is employed to instruct the application regarding its handling of the fault messages received from scanning while the aliases.conf file is employed to map the drivers to pseudonyms. However, the tool is verified and flexibly works with MySQL, Oracle 8/9/10/11, Microsoft SQL Server, IBM DB2 Universal Database 2000/2005. The program is pre-constituted for the mentioned drivers though it doesn’t ship with these because of licensing issues. HexorBase is a databank program, which is planned for running and checking numerous database servers instantaneously from a central place. The application is skilled in executing brute force assaults and SQL inquiries against mutual database servers including PostgreSQL, MySQL, Microsoft SQL Server, SQLite, and Oracle. It also permits the routing of the packet through substitutions or some time even through ‘’Metasploit pivoting antics’’ to interconnect with distantly unreachable servers that are concealed within the limited subnets. This ethical hacking tool can work on Windows and Linux, which are operating the following: python-qscintilla2, python-pymssql, python-mysqldb, python-psycopg2, python-qt4, python, cx_Oracle. This program is a strong penetration examining toolkit, which is completely written using python. The application comprises modules to discovering hosts, gathering information regarding the fuzz targets, forcing the usernames and passwords potentially and exploiting for numerous products. These all have made it one of the unconquerable penetration testing tools. Actually, it was primarily oriented to assault the systems related to Oracle, but you can also use it for all types of setups. But, it is a matter of sorrow that at present the application cannot function with Win32. Again the trouble with Scapy library and RAW sockets do not function for Win32. But, if currently, you are operating Win2k, you may have to face less difficulty. A proxy server refers to a devoted software or computer system being operated on such a computer that performs like an arbitrator between an end tool like a computer and additional server that responds to any client’s service request. Through the connection to the internet using proxies, the IP address of a client remains secret. Instead of showing the real IP address, the proxy server’s IP address is displayed. This is how a proxy provides a user with further confidentiality. However, the features of this fabulous ProxyChains are: you can use it with servers such as Sendmail and squid; you can easily deal with any application of TCP client; you can mix it up with an entirely dissimilar proxy types on a list; it supports proxy servers of HTTP CONNECT, SOCKS4, and SOCKS5; the application also lacks any sort of chaining option technique. This is how ProxyChains help you to make a successful ethical hacking operation. It owns more than 1700 plugins each of which is mechanized to spot something altered. Besides, it can identify SQL errors, version numbers, modules of web framework, account IDs, email addresses and so on. Some of the impressive features are: availability of numerous log formats such as ElasticSearch, SQL, RubyObject, Brief, Verbose, MongoDB, XML, MagicTree, and JSON; wheels the adjustment between dependability and stealth/speed; regulates the webpage redirection. 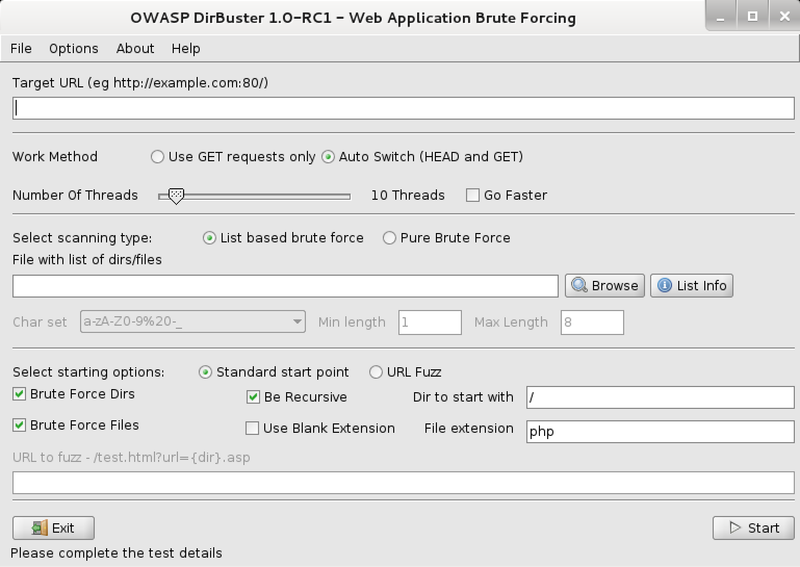 This is considered one of the best penetration testing tools that are essentially a multi-threaded java program, which is intended to brute force names of the files and manuals on the application/web servers. DirBuster makes attempts to discover the hidden applications and pages of a web-server. Whatever, this type of tool is frequently as simply worthy as the file and manual list they appear in. A complete dissimilar methodology was adopted to generate this. At last, this list was produced from scratch, by swarming the internet and gathering the files and manual, which are essentially utilized by the developers. The application offers a complete 9, unlike lists that makes DirBuster tremendously operational at discovering the concealed manuals and files. If it is insufficient, the program includes an option for performing an uncontaminated brute force that forces the unseen files and manual to show up. 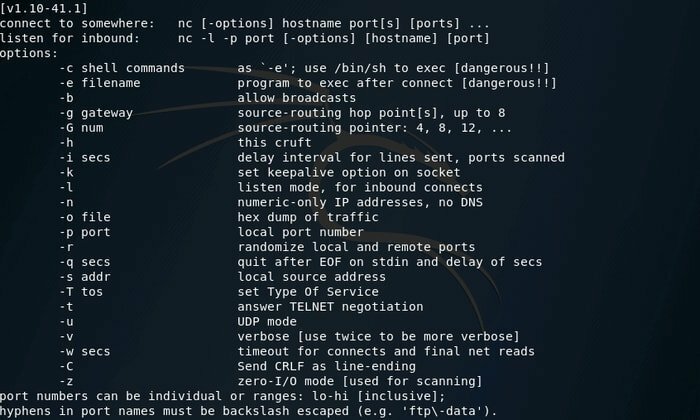 Traceroute is an impressive helper for ethical hacking that displays the route and measures the packets’ transit suspensions across an IP network. Traceroute keeps functioning until all of the delivered packets are vanished for over twice. When these are lost, the link is also lost, and the path can’t be assessed anymore. It is a free and cool offline browser application that lets you download a Worldwide Website from the Internet to a native manual by constructing all of the manuals recursively, getting images, other files, and HTML from a specific server to a computer. 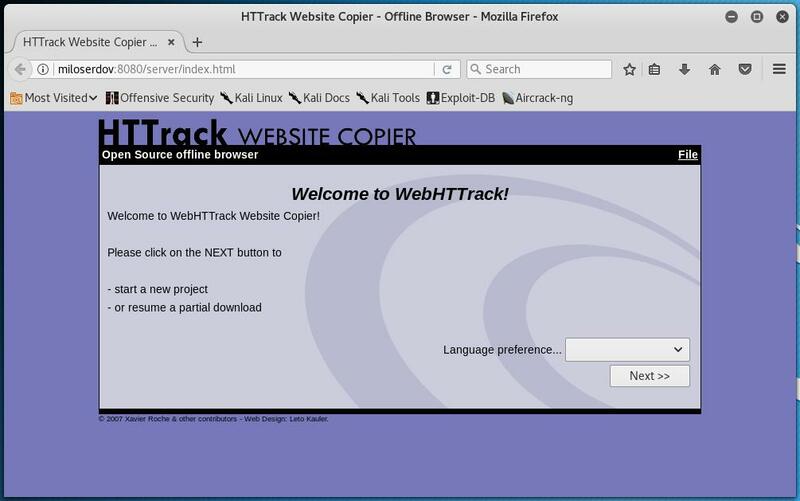 Also, HTTrack updates a prevailing imitated site and continue the paused downloads. However, it is completely configurable and also owns a combined assistance system. 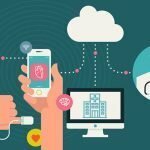 OpenVAS is another mind-blowing program of some tools and services offers a wide-ranging and influential susceptibility scanning and weakness administration resolution. It is an effective susceptibility managing resolution under the ‘’Greenbone Networks’’ from which the improvements are funded to the ‘’Open Source community’’ since the year of 2009. So, this is how the above-discussed ethical hacking and Penetration Testing tools can help you with hacking and penetration with Kali Linux. We hope you already have gone through the entire writing and being puzzled of the tools’ excellence. If our assumption is not wrong, then leave an encouraging comment for us so that we can present you with more fabulous writing subsequently. Furthermore, kindly share the article with your friends and relatives to help them to be versed in hacking and operating penetration testing tools, which is another source of our inspiration.